This comprehensive, practical title invites all clinicians to take a fresh look at the evaluation and management of chronic daily headache (CDH). Developed by a distinguished international panel of experts, the book examines key social and economic issues around CDH and clarifies the diagnosis of CDH disorders, providing an understanding of the underlying biological substrates, offering guidance on the use of diagnostic testing and additional consultations, and outlining treatment strategies with the greatest potential to alleviate the burden of these patients and to provide the highest quality of care. The book fully examines the constellation of symptoms that constitute chronic daily headache, while also discussing the role of behavioral medicine and the important elements involved in taking a good history. The major forms and biology of chronic daily headache are covered, as is the role of diagnostic testing and treatment. The risk factors that lead patients to transform episodic primary headache disorders into the chronic form are examined. Invasive and neuromodulatory techniques are also discussed. A section on the classification of these disorders rounds out this important contribution to the literature. 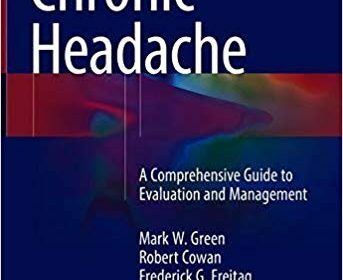 Chronic Headache – A Comprehensive Guide to Evaluation and Management will be of great interest to neurologists, primary care physicians, nurse practitioners, physician assistants, medical students, and other clinicians with an interest in chronic daily headache.